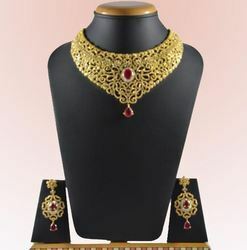 We present a dazzling array of Necklace Set with Brown Crystal and gold beads at cost-effective prices in the market. These are offered in several enchanting designs to be worn with matching dresses. Further, we ensure that our vendors design and manufacture these in compliance with the prevailing fashion trends in the industry. 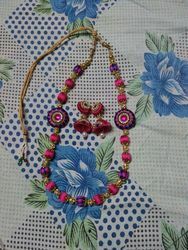 Long Necklace Set are crafted by creative artisans of the market and are offered at affordable rates. We strive to provide these in beautiful packaging that also helps in protecting the jewellery over a longer period of time.